Stay Afloat With Water-saving Devices! From biomass boilers to bat boxes, businesses across the Gatwick Diamond are incorporating environmental best practice into their day-to-day operations. 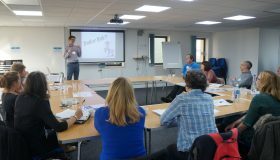 Brighton & Hove third sector organisations gathered to learn more about increasing energy efficiency in their businesses. 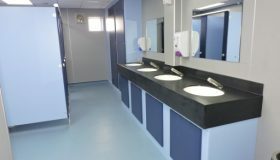 Southern Water are offering non-domestic customers (including businesses, schools, charities, parish councils) to whom they supply water, free water saving devices fitted by one of their engineers. 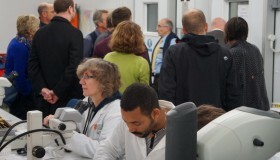 Delegates from various environmental sector businesses made their way to Shoreham to explore the exciting and innovative journey towards bringing a new product or service to market. 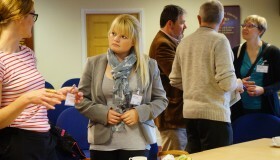 Welcome to March’s money focussed Network Update. This month: Innovation, exporting and investment events; CRC to be scrapped; Water charges; Les routes pv solaires; Balcombe crowd-funding; Trading standards guidance; RHI consultation… and more! 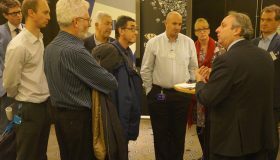 Barney the storm didn’t put of 50 delegates joining us for a behind-the-scenes tour of Wakehurst Place and the Millennium Seed Bank to find out about the energy efficiency and environmental initiatives they have implemented. 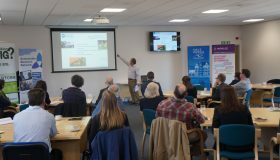 The popular series of Sustainable Business Breakfasts continued this October morning in Uckfield, with Duncan Baker-Brown from BBM Sustainable Design and Steven Green from Ringmer College speaking about sustainable buildings. This month: R&D tax credits; Autumn events programme; Arundel Museum case study; CCL changes; Grant schemes; What’s warming the world?